Elections are over. 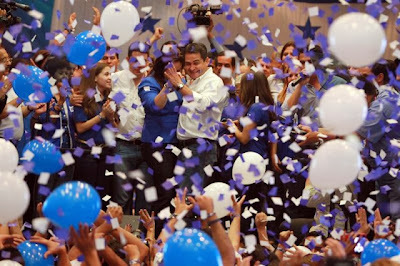 Juan Orlando Hernández (JOH, as he is known in Honduras) is officially the next president of Honduras, winning about 34% of the vote. He will take office January 27, 2014. 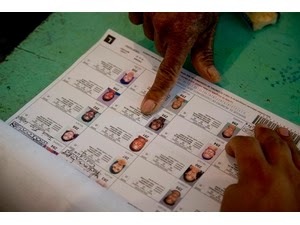 The election process was declared free and transparent by international observer organizations. 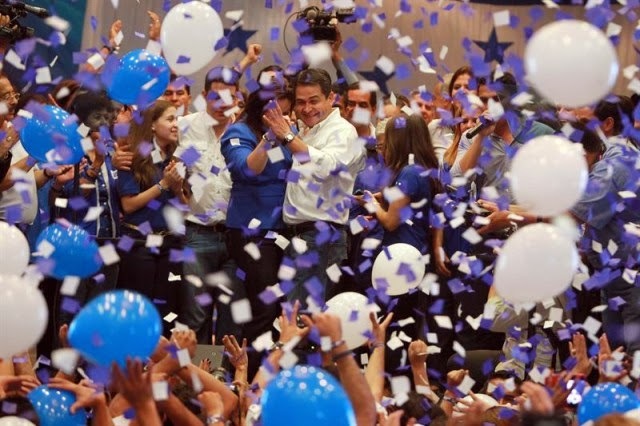 No vote recounts will be done by the TSE (Honduras' election authority) despite numerous and some very valid claims of errors and even fraud. TSE says that their only obligation is to certify the actas (explained later) not the ballots. The international auditor says the same. Despite election observer organization positive reports to the contrary, organizations such as OAS provided long lists of changes that are necessary and even the TSE has campaigned for changes to the election law. Candidates showed proof on television and online of serious errors if not downright fraud both within the polling places as well as within the TSE. Often the claims of errors could be confirmed by viewing the scanned documents on the TSE website. I saw and verified enough to convince me that some of the diputado (congressman) races deserved a fresh count of the ballots. The basic election process is to confirm voter identity (ID card) and ensure that the voter is registered at that voting table by comparing against voter rolls complete with color photos of the citizens. The ballots are certified by the poll workers. Voters move to a private table to mark 'x's' on ballots which include names, party designations, and color photos of the candidates (separate presidential, congress, municipal ballots) and deposit them in the appropriate ballot box. The voter's pinky is inked so that he cannot vote again. The biggest fallacy in the system is that the legitimacy of the election results relies on the independence and honesty of the poll workers. Each voting table is supposed to have a poll representative and a substitute from each party (eight parties this year) to ensure honesty in the count, though that doesn't happen in most cases in much of the country. Rather than 16 or even 8 poll workers, many of the actas that I viewed online were signed by four or even fewer poll workers. Polling places may start out the day with representatives from each party, but often some leave before the actual count is done. Additionally, political parties and individuals are known to traffic in polling credentials (which are issued in blank to the parties, not the individuals), selling their badges to the highest bidder. Channel 10 news interviewed one poll worker who proudly stated that he was a Nacionalista though he couldn't explain why he was wearing a badge from another party. At the location where J voted, the LIBRE party workers loudly stated that they would only verify known LIBRE party voters. In a small town, every knows who has what party loyalty. "The vast majority of serious crimes in Honduras, including those against U.S. citizens, are never solved; of the 50 murders committed against U.S. citizens since 2008, police have only solved two. Members of the Honduran National Police are known to engage in criminal activity, including murder and car theft. 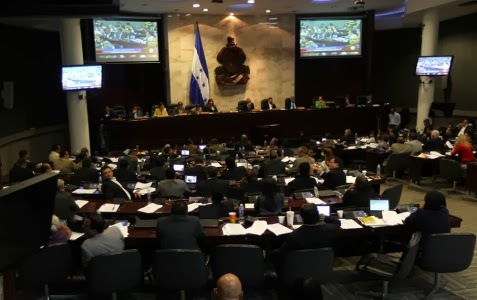 The Government of Honduras lacks sufficient resources to properly investigate and prosecute cases, and police often lack vehicles or fuel to respond to calls for assistance. In practice, this means police may take hours to arrive at the scene of a violent crime, or may not respond at all. 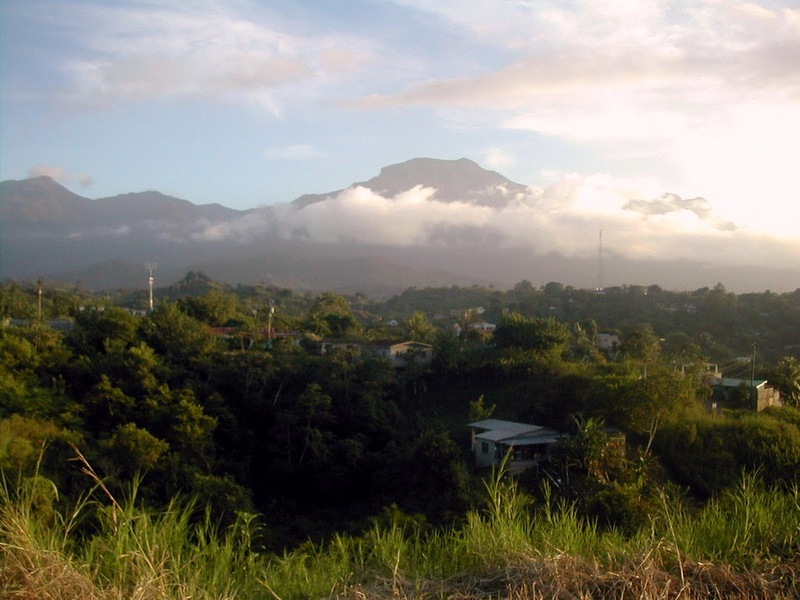 As a result, criminals operate with a high degree of impunity throughout Honduras. The Honduran government is in the early stages of substantial reforms to its criminal justice institutions." Apparently the Embassy does not agree with President Lobo's assessment that homicide has decreased tremendously in Honduras this year. If there really had been a reduction, the Secretary of Security would provide the data to the Observatorio Nacional de la Violencia (ONV), an independent academic research institution based out of Honduras’ national university and supported by the UN. ONV has been charged with providing Honduras' official crime statistics for many years and has always worked with the police and media to generate the statistics – until Arturo Corrales became Secretary of Security. Recently, the director of the ONV denounced that based on Secretary Corrales' orders, police have refused to provide any crime information since June 2013. The State Department chose to include ONV's estimate of an increase in 2013 homicides in their warning rather than President Lobo's verbal assurance of a big reduction. Alianza para la Paz y la Justicia (Alliance for Peace and Justice, APJ) issued a public pronouncement (in Spanish) earlier this month condemning not only the failure of the government to purify the police department but also a condemnation of the Secretary in particular for his inability to reduce murder and violence as well as his lack of transparency and his refusal to provide data to ONV. APJ demands reforms in the entire justice system, which they say have been obstructed to date. They say that the new president has an obligation to name a new Secretary of Security who is valiant, honest, and professionally capable of fomenting a policy of transparency, accountability, and an open-door policy for the media, civil society, academia, and citizens in general. APJ (Facebook page) is a coalition of civil society, NGOs, and religious organizations whose leading members are among the bravest people in Honduras. They literally risk their lives every day by speaking out against crime and corruption in the government and justice system. One of their member organizations (AJS) is the national representative for Transparency International and another, Transformemos Honduras, has worked with the Secretary of Education to develop numerous improvements in the education system as well reductions in corruption. APJ has my total respect. The previous June 17th US State Department travel warning as well as a comparison with the November 2012 warning can be found here. "House of a million lights"
I'd like to wish all of the Blogicito readers a Merry Christmas and Feliz Navidad! I hope your holidays are filled with love and happiness. The house shown above was called the "House of a million lights" by La Prensa. 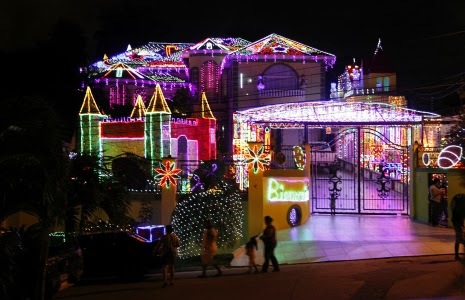 The owners have put on a different display every Christmas for several years but I think they've outdone themselves this year. 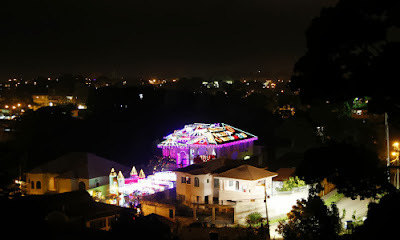 If you are in La Ceiba, you can see the house in Las Colinas. Las Colinas is a very pretty, and as the name would indicate, very hilly colonia (neighborhood) just outside of town. I can't give you directions to the house, but I'm sure you'll have no trouble following the glow of lights to find it; there aren't that many streets in Las Colinas. You can also see it from above by following the highest street that runs along the back of the colonia, as shown in the photo below. 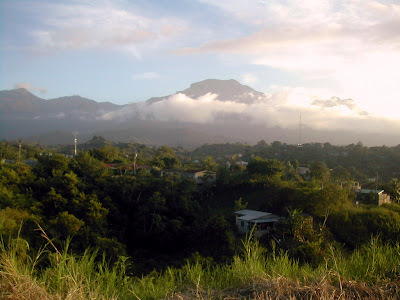 This is a great place to get a panoramic view of La Ceiba. Nacionalistas enacted a huge blow to the poor and middle class of Honduras in the middle of the night last night (Friday), railroading through a tax paquetazo that will cause prices of virtually everything in Honduras to rise. The Honduran twitterati was afire last night as many watched the 11-hour long process on the congressional television channel. Outrage is the best way to describe the reaction. Since Nacionalistas have a sufficient majority in Congress (until Jan 25, 2014) to pass any law, they were able to force dispensing of the required three congressional sessions for discussion, enabling them to railroad the new law through in one night – a Friday night before Christmas holidays no less. This was done despite the opposition congressmen complaining that they hadn't even received the law before the session or had time to read it nor had citizens had any advance knowledge of the law or opportunity to provide input. While the party in power said that this was such an important law that it needed to be passed immediately, the opposition responded that it was such an important law that it needed more time for study and analysis. Article after article was passed with the right side of the room (Nacionalistas) voting 100% in favor and the smaller left side (the other four parties) voting 100% against. The session ended at 1:00 a.m.
Let's put this in order! The law is called the "Ley de Ordenamiento de las Finanzas Públicas, Control de las Exoneraciones y Medidas Antievasión" (translated something like Law of Public Financial Management, Control of Exonerations, and Anti-Evasion Measures). Sounds good, doesn't it? President-elect Juan Orlando Hernández has been promising a reduction and consolidation in the "obese" government and initially I thought this law might have something to do with that. We definitely need some new measures in this bloated, inefficient government on the verge of bankruptcy and incapable of providing the most basic services to its people. The government can't even pay its bloated salaries much less have any money left over for the services those employees are paid to provide. Tax evasion by the rich and powerful is the rule, not the exception. Unfortunately, the name of the law disguises its real purpose, increased taxes. Remember when I showed you my first lemon harvest in 2009? Go ahead and take a look. I'll wait. Things are definitely looking up now. This particular day's batch includes some smaller lemons (limes?) because El Jefe had to cut off some of the lower branches of one tree which were so heavy with fruit that they were hanging on the ground and killing the grass. We generally get big fat lemons/limes. We've only had to buy lemons a couple of times in the past many months and wow! Ours are so much juicier. I don't know how long the season continues but I hope it is a long time. For some reason, I haven't kept track of when the trees are producing. I really should do that. This photo is of the fruit blossoms. They smell so good! My odd – and possibly annoying – habit of not specifying lemons or limes is because here in Honduras, they are all called limones (lemons) and a lima is something you sharpen your machete with. Obviously the yellow ones at the top with the pointy ends are lemons. Those come from a deadly thorny tree that will rip your skin open if you aren't careful. My sister-in-law gave us a start from her tree. The odd thing is that her lemons are very small and round (called indios) and ours our big and pointy, the shape we typically think of for a lemon. These are so acidic that I can't use more than one slice a day in my tea or my teeth start hurting. They are also chock full of seeds so based on all those clues, I think they may be límon agria. The others (the round green ones) are much tastier, less acidic, and have no seeds or thorns. They appear to be limes, and if you pinned me down, I would say they are limes. But before you jump to any conclusions, read Lemons or Limes?. It's definitely not as clear cut as you might think if you are North American where your lemons are always yellow and your limes are always green. I was trying to make an artful arrangement for the photo, but they kept rolling out of the bowl. The ones on the table are the ones that I had to keep picking up off the floor after they rolled out of the bowl. Doing the right thing in Honduras is no easy task. You try, try, try to learn the ropes and jump through all the government hoops, but if the agency is not out of paper or ink, not on strike, or the system is not down, there will be something else to prevent you from getting those documents! Always has been, always will be. The most frequently spoken sentence of government employees seems to be: "Come back next month." 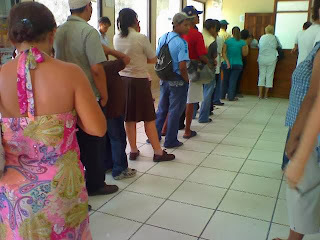 Shortly after President Lobo came into office (January 2010), La Prensa published an article saying that the government had run out of vehicle plates early in Zelaya's administration, none were purchased, and there was a huge backlog of people waiting for plates. The new head of that department in DEI said that it would take at least a year to do the public bid process and receive the plates. He wanted to do an emergency purchase, which in Honduras means that somebody gets rich and favors to friends, family, and political benefactors are repaid. With my suspicious mind, I figured that it could only take that long because they had to ensure that the proper people got the proper cuts of the contract. Apparently that took a loooong time to work out. Welcome to my Blogicito — spanglish for 'little blog'. 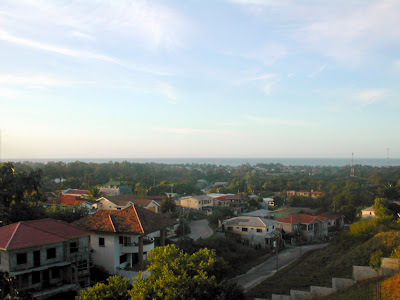 I am a US expatriate who has been living here in La Ceiba, Honduras, with my Catracho husband since 2001 and blogging about Honduras and my expatriate life since 2006. The Blogicito includes a wide variety of topics from everyday life to cultural differences to Honduran politics and corruption. One way to find what you are looking for is to browse the 'Topics' list or the monthly lists of articles under 'La Gringa's archives' below. Looking for something more specific? Use the search box at the upper left (for complete articles) or the Google blog search below (for a list of summaries — usually more manageable). Like most bloggers, reader feedback helps to inspire me. I enjoy reading your comments. Thanks for visiting and please come back soon! Click the yellow note to subscribe. Don't forget to confirm when you receive the email! Your subscription won't start until you do. See also my monthly rain charts (in inches and centimeters) from 2009 through 2014. 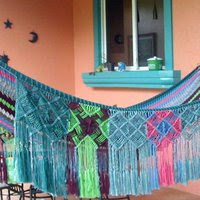 This is the best place to get info about living in Honduras! Hoy por mi, mañana por ti!! Again, Another Year has Passed and the Blog doesn't work Properly! En respuesta al articulo de Eduardo Reina "la ultraderecha dividida y el centro camaleonico"
Blog design, content, and images Copyright ©2006-2014 La Gringa. Please contact me for permission before using.